OUR #1 SELLER for the past 3 Years!! Dark brown sugar, apple cider vinegar, soy sauce, bourbon, garlic, red peppers, and molasses make this glaze perfect for brushing on grilled salmon or on pork chops for a Kentucky Derby dinner party. 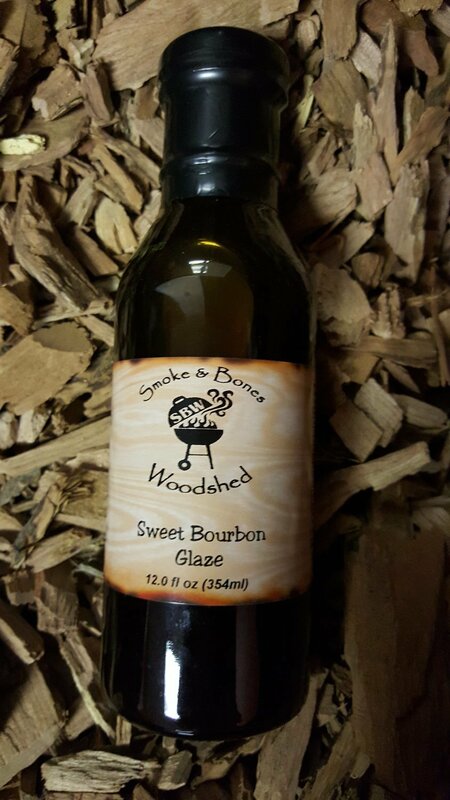 Sweet Bourbon Glaze how we have come to appreciate your versatility, you are a constant rush of flavor and goodness for our ever blander world. You are so good and delicious that we will eat you on anything. We have tried you on chicken and you were delicious, on burgers and you blew our mind, we were timid trying you on pork and you did us no wrong. Your Kentucky bourbon based flavor has our eyes and taste buds dancing with glee every time we open the fridge and get a glimpse of your bottle.